A former Loveland teacher and amateur photographer from Fort Collins has been arrested and charged with exploitation and attempted sexual assault on a child. 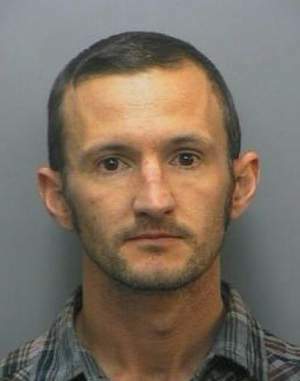 Gawain Jay Roberts, 35, was released from the Larimer County Jail on a $75,000 bond Thursday. He’s due back before a judge on Monday to hear more specifics about the two felony charges against him, filed in connection with an incident involving a 16-year-old female student, police said. Fort Collins police took Roberts into custody on Wednesday at a west Fort Collins home on a warrant from Loveland. Loveland police say computers and cell phones are among the evidence linking Roberts to the girl. Roberts worked for Thompson School District for six years and resigned Oct. 24, according to district spokesman Wes Fothergill. The investigation began in mid-October when a Loveland police officer in the schools received a tip that a teacher was involved in criminal activity with a 16-year-old student. Administrators cooperated with detectives in the case and continue to work together to find other possible victims, according to a Loveland police news release. Fothergill said Roberts taught a small group of high school-aged students through the SOARS alternative-education program based at Ferguson High School. He said Roberts was hired in 2006 and passed the school’s background check. A search of Roberts through Colorado court records shows no previous criminal history for him in the state. Roberts has extensive photography work posted online, with numerous photos of children. Natascha Lee, a Denver-area photographer, said she met him once at a one-day workshop through SmugMug, a photography group. The group’s website features portraits they took of young women. Roberts’ e-mail address listed on the website also has been used to address many questions on the Yahoo! Answers website. The user “Gawain_Roberts” addresses questions from math and science to online photo storage and musings on women who wear low-cut shirts. Reporter Robert Allen contributed to this story.